Gold fell for a third day as analysts said recent gains have been excessive and the dollar strengthened on the possibility of a U.S. interest-rate increase next month. Bullion for immediate delivery fell as much as 0.6 percent to $1,278.99 an ounce and was at $1,276.70 at 10:53 a.m. in London, according to Bloomberg generic pricing. Prices have slumped after gold briefly surpassed $1,300 earlier this week and touched the highest since January 2015. Gold has rallied 21 percent in 2016 after three years of losses, as investors returned to haven assets amid concerns that a deteriorating global economy may delay the end of low borrowing costs in the U.S. The Bloomberg Dollar Spot Index, which tracks the greenback against 10 peers, climbed from a one-year low on Tuesday after two Federal Reserve officials said a rate increase could be considered next month. 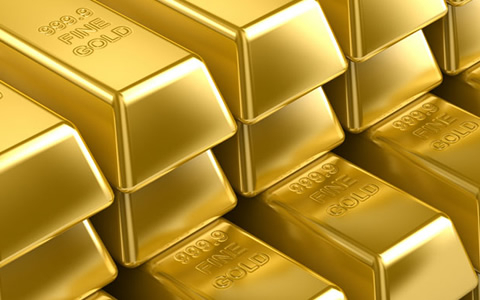 There are more signs that the recent advance is overdone, according to Tom Kendall, head of precious metals strategy at ICBC Standard Bank Plc. In a note titled “Red Flags,” he said the Indian market remains subdued. Fed Bank of Atlanta chief Dennis Lockhart called a June rate hike “a real option,” while his San Francisco counterpart John Williams said he would support such a move if the U.S economy stayed on track. Investors see just a 12 percent chance of a rate-rise next month, futures data show. Officials including St. Louis Fed chief James Bullard are due to speak this week. Assets in exchange-traded funds backed by gold increased for a sixth day, rising 0.2 percent to 1,784.9 metric tons, according to data compiled by Bloomberg as of Tuesday. • Spot silver fell 0.5 percent. • Platinum retreated 0.9 percent and palladium slid 0.7 percent.